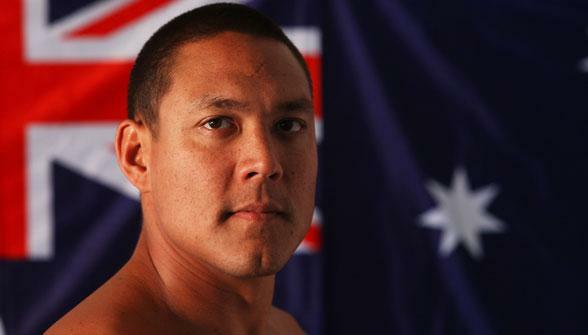 The 2012 Australian Olympic Trials will be filled with high drama as athletes battle for Olympic qualification. Unlike most other sports, the Swim Team is selected based solely on performances at Trials. There are no second chances and athletes will be pushed to their limits. 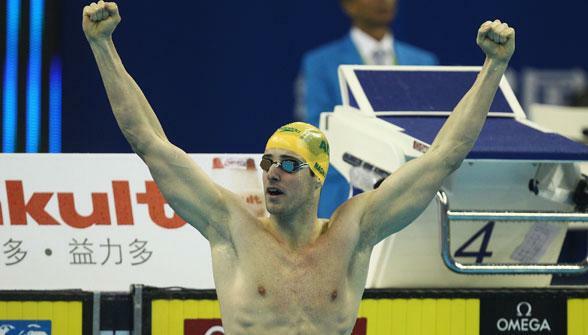 Australia has won more Olympic medals in swimming than any other sport including 20 in Beijing. Here are some of the must-watch finals events. James Magnussen, Matt Targett, Matt Abood and Eamon Sullivan (pictured) also want to race in an individual event in London. The splash and dash will be a thriller. The World Champion 4x100m freestyle boys hope to replicate that performance in London but James Magnussen, Matt Targett, Matt Abood and Eamon Sullivan (pictured) also want to race in an individual event in London. The splash and dash will be a thriller. Geoff Huegill admits the likes of Sam Ashby, Chris Wright, Jayden Hadler and Andrew Lauterstein make his road to London tough. Melanie Schlanger, Cate Campbell, Marieke Guehrer and Merinda Dingjan. In a red-hot field the pace will be quick. 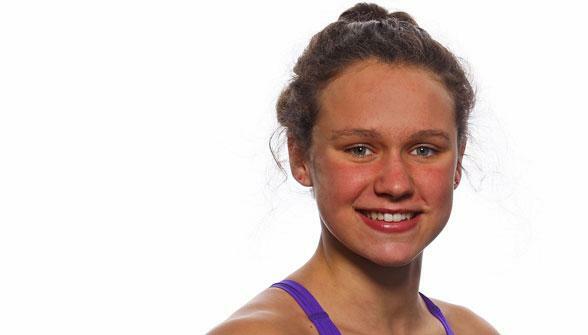 The race that doubles as Libby Trickett's best hope of qualifying doubles as an attainable ticket to London for world championship for Olympic representatives Coutts, Melanie Schlanger, Cate Campbell, Marieke Guehrer and Merinda Dingjan. In a red-hot field the pace will be quick. James "the missile" Magnussen chases Cesar Cielo's world record while fortified challengers Eamon Sullivan, Matt Targett, Matt Abood, James Roberts, Cameron McEvoy and possibly Ian Thorpe and Michael Klim chase him. Top six will be in contention for relay positions. An event not to miss. The race that needs no introduction. World Champion James "the missile" Magnussen chases Cesar Cielo's world record while fortified challengers Eamon Sullivan, Matt Targett, Matt Abood, James Roberts, Cameron McEvoy and possibly Ian Thorpe and Michael Klim chase him. Top six will be in contention for relay positions. An event not to miss. Coutts says this event is closest to her heart, as it is for Rice. Olympic Champion Stephanie Rice's attempt to defend her title has been thrown a curve ball with the rise and rise of Alicia Coutts and Emily Seebohm (pictured). Coutts says this event is closest to her heart, as it is for Rice. Jones feels honoured to attempt to become the first Australian swimmer to compete at four Olympics- which Michael Klim and Adam Pine are also attempting. If Jones can overcome Leiston Pickett and Samantha Marshall among the rising stars, she could also overtake Thorpe as Australia's most successful Olympian. Jones needs only one more medal to match Thorpe's nine Olympic medals. Australia has watched Leisel Jones grow from a 15-year-old at the Sydney 2000 Olympic Games into the reigning Olympic Champion. 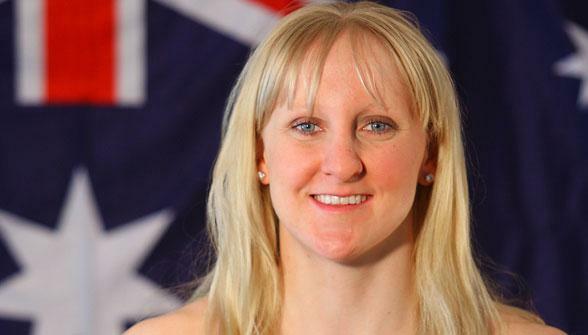 Jones feels honoured to attempt to become the first Australian swimmer to compete at four Olympics- which Michael Klim and Adam Pine are also attempting. If Jones can overcome Leiston Pickett and Samantha Marshall among the rising stars, she could also overtake Thorpe as Australia's most successful Olympian. Jones needs only one more medal to match Thorpe's nine Olympic medals. Ian Thorpe is hoping to dive in for the men's 200m freestyle final, needing a top six finish to be considered for a relay position. His rivals include Thomas Fraser-Holmes, young superstar Cameron McEvoy, Ryan Napoleon and Kenrick Monk. Australia's most successful Olympian Ian Thorpe is hoping to dive in for the men's 200m freestyle final, needing a top six finish to be considered for a relay position. 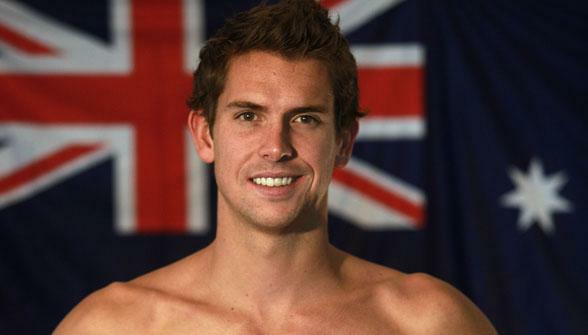 His rivals include Thomas Fraser-Holmes, young superstar Cameron McEvoy, Ryan Napoleon and Kenrick Monk. 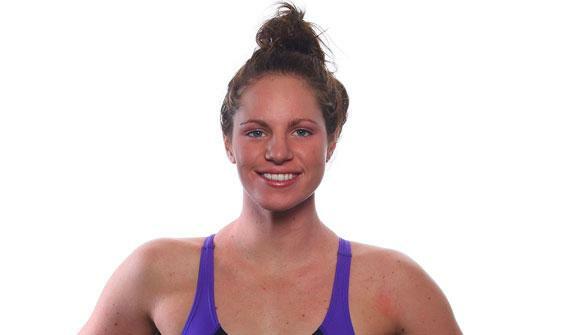 Melissa Gorman who has already qualified for the 2012 Olympic Team for open water swimming. Gorman says qualifying for a spot in the open water and pool events would be a great achievement.
" alt="Close friends Bronte Barratt and Kylie Palmer (pictured) go head-to-head with Melissa Gorman who has already qualified for the 2012 Olympic Team for open water swimming. Gorman says qualifying for a spot in the open water and pool events would be a great achievement. 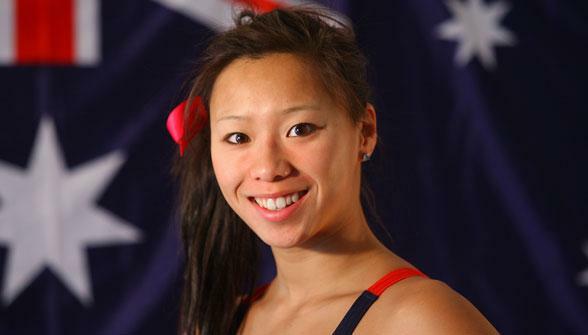 Coutts writes that a “program fairy” will keep her in the mix for a potential four individual Olympic spots in London. 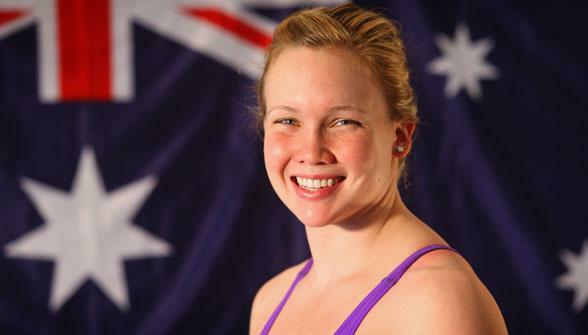 With a sensational ten Olympic medals between them, comeback queen Libby Trickett and Jessicah Schipper, (pictured) will be fighting for their third Olympic berths. 16-year-old Yolane Kukla (pictured) was inspired by such athletes, and is a genuine contender to knock her idols off. 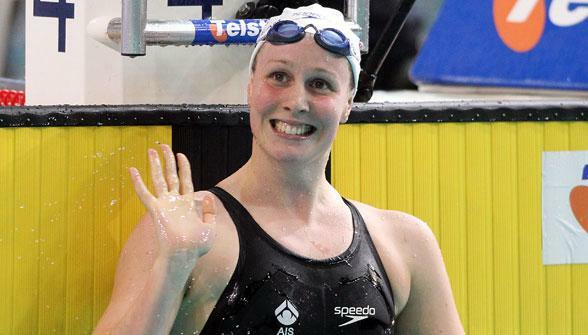 Alicia Coutts won five gold medals at the Delhi 2010 Commonwealth Games, listing the 100m butterfly as one of her most treasured events, and Coutts writes that a “program fairy” will keep her in the mix for a potential four individual Olympic spots in London. Stephanie Rice says the Beijing Olympics exceeded her expectations when she won three gold medals and three world records, but a small tear in her shoulder has hampered her London 2012 preparations. Expect challenges in Rice's pet event from Blair Evans, Beijing Olympian Samantha Hamill and Ellen Fullerton who missed out on an Olympic spot in 2008 after placing third at Trials.